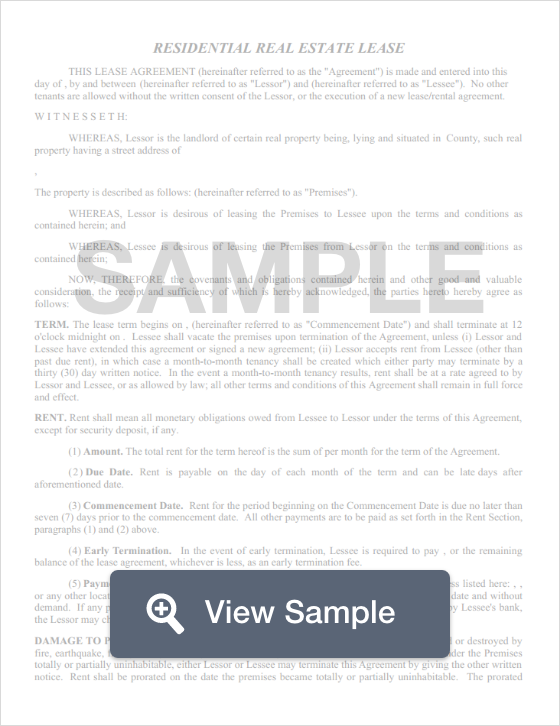 Create a Montana Lease Agreement with our attorney-drafted template! What Is a Montana Lease Agreement? A Montana lease agreement is a written agreement between the property owner and the person wanting to lease the property. The parties are referred to as the landlord and the tenant. All Montana lease agreements must abide by the state’s landlord-tenant laws. 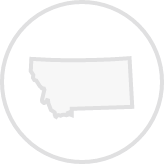 The most commonly used Montana lease agreements are a standard residential lease agreement, a month to month lease agreement, a lease to own agreement, a roommate agreement, a sublease agreement, and a commercial lease agreement. Include the date that the lease is created. The full legal name of the tenant and the landlord. The address of the property that will be leased. The date that the lease starts and the date that the lease ends. The amount of rent that will be paid each month during the lease. The amount of prorated rent paid, if applicable. The amount that the landlord will charge for late rent or NSF. The amount of the security deposit paid by the tenant. Which utilities the tenant must pay or which utilities are included in the rent. What conditions must be fulfilled to terminate the lease before the end of the lease and if there is a lease termination fee. The amount of the security deposit the tenant will lose if the tenant replaces locks without getting written permission from the landlord. Any cost that will be due from the tenant if the landlord must provide a new key replacement but the tenant cannot pick it up. Whether pets are allowed and if so, any restrictions or deposits related to pets. Both the landlord and the tenant must sign the lease in order for it to be legally binding. Once the Montana lease agreement is executed, both the landlord and the tenant should keep a copy of it for their records. What Disclosures Must Be Made in a Montana Lease Agreement? There are several disclosures that must be made in a Montana lease agreement. The first is a mold disclosure. The landlord must state in the agreement that, to the best of their knowledge, they have no knowledge of existing mold on the premises. The next disclosure actually a move-in checklist. Before the landlord can receive a security deposit from the tenant, the landlord and the tenant must inspect the property together for pre-existing damage. The landlord must identify any person that has their authority to enter the rental property. The name of authorized agents must be in the lease. Additionally, Montana lease agreements must list an address where the landlord may receive notices from the tenant. 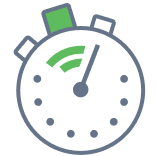 The landlord must give the tenant at least 24 hours’ notice before entering the premises. Federal law states that a lead paint disclosure must be given to tenants when a residential property was built prior to 1978. There is no limit on how much money a landlord may request as a security deposit. However, the money must be returned to the tenant with 10 days of them vacating the property if there were no deductions made. If the landlord used some of the money to fix the property, they must return the remaining money along with an itemized statement within 30 days. Create a free Montana Lease Agreement in minutes with our professional document builder.